Sun prints are amazing. Especially to kids who grew up with digital cameras and have no concept of waiting for an image to develop. Yesterday we randomly found some sunprint paper on our trip to Baugher's farm and came home to make sun prints with our friends. 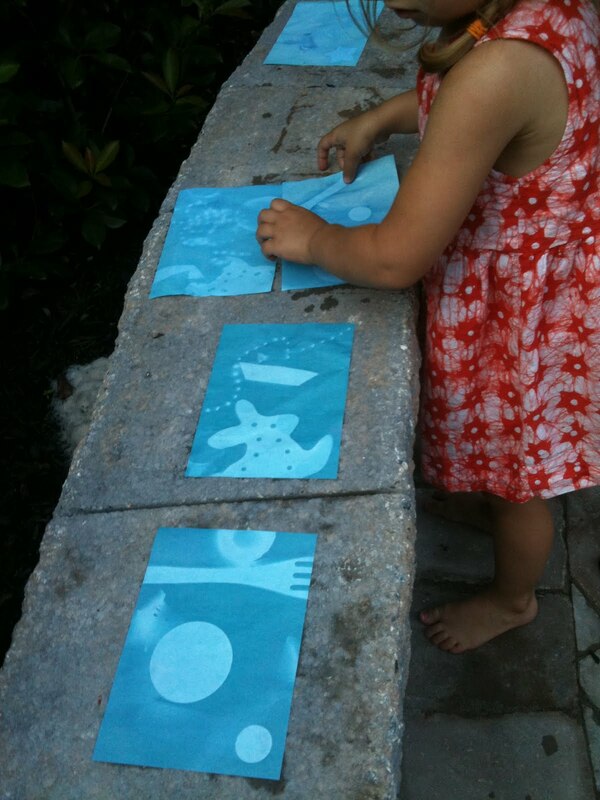 The bee and her friends loved making the sun prints. They each made several prints, selecting a variety of objects and laying them on the sun print paper. After letting them sit in the sun for a few minutes, the paper turned white and they got to rinse the paper in a tub of water, which may have been their favorite part. The finished prints are awesome!